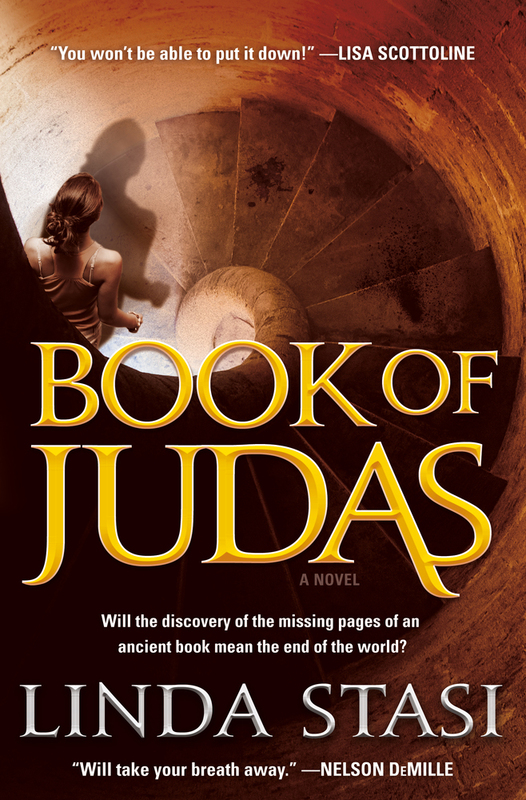 From hard-hitting New York Daily News columnist Linda Stasi comes Book of Judas, a riveting religious thriller featuring beloved protagonist Alessandra Russo. When her infant son is placed in mortal danger, New York City reporter Alessandra Russo is forced to save him by tracking down the missing pages of the Gospel of Judas, a heretical manuscript that was unearthed in Al-Minya, Egypt, in the 1970s. The manuscript declares that Judas was the beloved, not the betrayer, of Jesus. Do the lost pages contain a secret that will challenge Christianity's core beliefs about the creation of life, or that might hold the power to unleash Armageddon? What if such explosive documents fell into the hands of modern-day terrorists, dictators, or religious fanatics? Alessandra plunges into a dark world of murder, conspiracy, and sexual depravity...and most importantly, a race against the clock to save her own child. A few years ago, right after I finished writing The Sixth Station, the first novel featuring New York City reporter Alessandra Russo, I flopped down on a couch in a house my husband and I had owned for twelve years. Brash, funny and opinionated, the acerbic Stasi’s first novel, The Sixth Station, published in January of 2013 by Forge Books was hailed as, “A helluva religious thriller,” by Nelson DeMille, while Steve Berry said, “You’ll be grabbing the pages so tight your knuckles will turn white!” Booklist said of the book, “Dan Brown and Steve Berry fans have another controversial novel in which to lose themselves.” For The Sixth Station, Stasi was selected as a finalist for the Mary Higgins Clark Award. Stasi has also authored the non-fiction books – Looking Good Is the Best Revenge, A Field Guide to Impossible Men, Simply Beautiful, Boomer Babes, and Scotto Sunday Suppers.